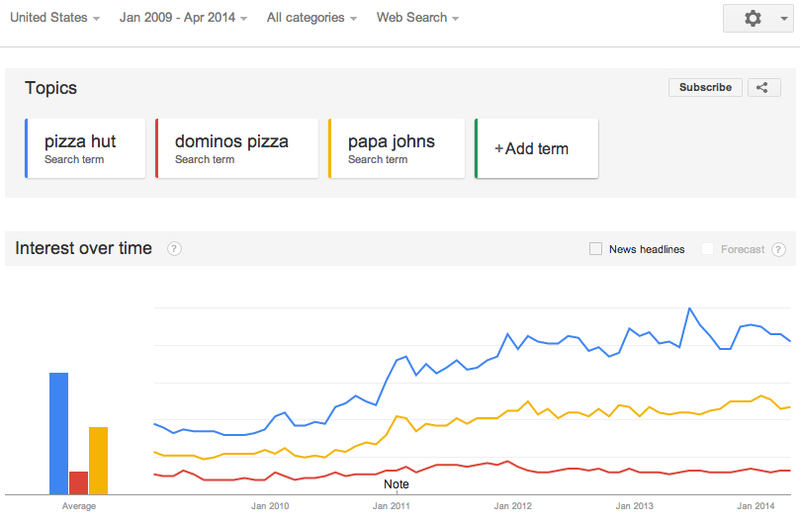 You can get very detailed in your Google Trend Analysis. Duration, geographic location and relative search volumes can be used to further refine your analysis. 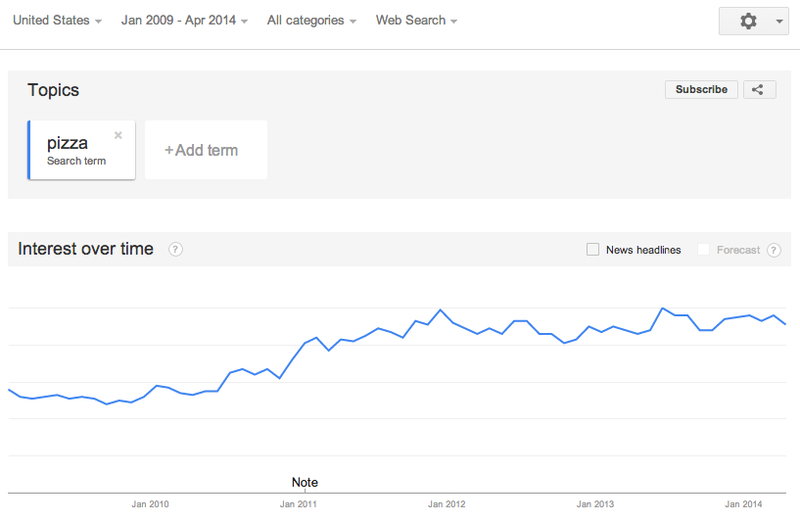 Google Trends gives the normal everyday retail investor an edge against the much larger institutional investors. If used correctly, you could identify the next best stocks in an industry that is gaining popularity, all in the comfort of your own home. 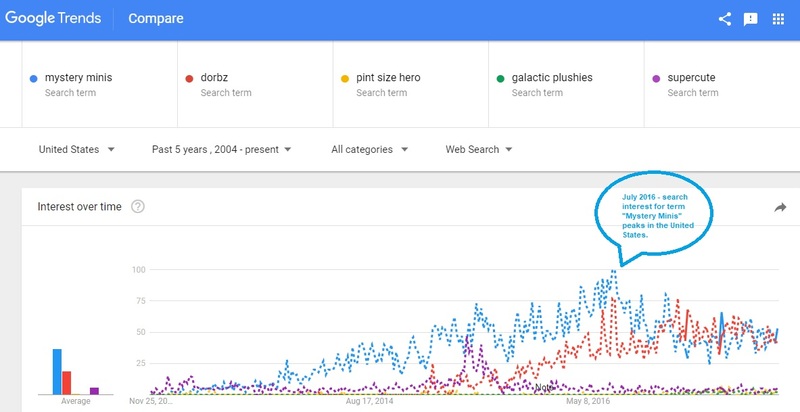 No need for a conference call to C-level executives to determine what their target market is looking like, as you would know this in advance of any executive/CEO by simply using Google Trends. You could look at the trend in two ways, but probably the best way to do this is compare the current year peak against peaks of years past. 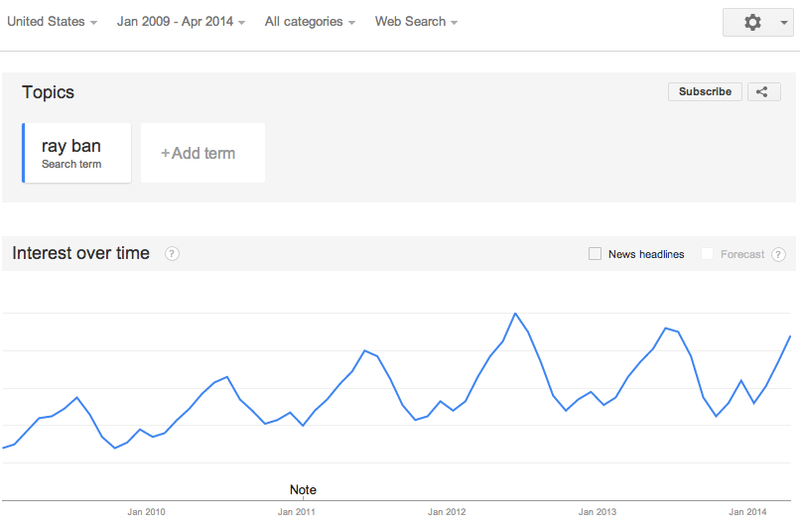 Thus if the 2013 peak in June was greater than the peak in June 2012, this would mean that the trend is up. Alternatively, you could compare the trough in 2013 against 2012 and if it were greater than the 2012 trough, you would have yourself an uptrend. What we at Trendvesting aim to do is provide readers with trending keyword searches that have a relationship with the stock market. We’re constantly scanning the NASDAQ, AMEX and NYSE to determine which stocks are trending and give readers the advantage of knowing the trend before the herd comes rolling in.